Digital Gaming in India is fast picking up pace and is touted as the next big thing to rule the local market. With the rise in Internet penetration, coupled with the growing number of smartphones and 3G users in the country, there is a lot of scope for developers and investors alike to generate a large amount of revenues. 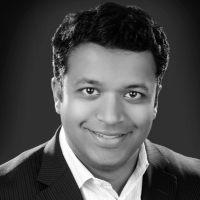 In an exclusive interview with TechCircle.in, Ravi C Adusumalli, Managing Partner and Head of India operations at SAIF Partners, talks about the challenges and potentials of the digital gaming market in India. What is the potential of digital gaming in India? 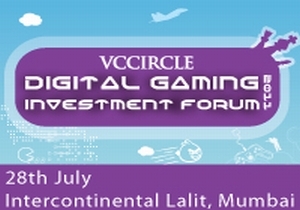 SAIF believes that the potential of digital gaming is quite large in India. But the growth rate over the past 10 years has been a big disappointment. We believe that this will change over the next 10 years as the Internet penetration increases. The Indian gaming industry is expected to grow at a CAGR of 31 per cent and may soon become a billion-dollar industry over the next four years. What is your perception in this regard? It's difficult to comment on the exact timing â€“ exactly when this will become a billion-dollar industry. It's not clear whether it will take four years or eight years. That being said, it will definitely happen. What are the challenges faced by developers/companies in monetising their games? Well, there are a number of challenges. First of all, ad revenues in India are still extremely small and this is unlikely to change until the user base grows dramatically. Secondly, online gaming is a hit-driven business. Until you get large-scale hits, it is difficult to monetise the business. While most games are free, they still rely on a small fraction of their user base to pay for virtual goods. In the case of Zynga, the company derives 80 per cent of its revenue from three or four per cent of its user base. This is possible because the user base is massive. Finally, the payment mechanism itself is not clear in India. In the USA, users purchase credits with their credit cards. In China, cyber cafes are used as collection points. But in India, developers will most likely rely on carriers. But unfortunately, that is an expensive solution. What is the scope of monetising digital games in India? It is large, but it will take time. The user base is still quite small in India. Various start-ups are emerging out of India, targeting domestic or international markets. What are the do's and don'ts in this business that they should know? The key to developing a $1 billion business will be to focus upon the Indian consumers. Developers will have to create a gaming experience that the local market will love. We are not interested in companies which only focus on the international market, given the intense competition by well-established companies in those markets. Nor are we interested in companies which are merely doing off-shore development work for publishers in other countries. As of now, games are imported into the subcontinent. Will it be possible to reverse this trend? If you look at China, the first games which became really popular there were imported from South Korea. Once the games became successful, companies began investing in developing games, focused on the domestic market. I think that the same thing will happen here. What are the challenges faced by investors who want to fund start-ups? It's a hits-driven business and there will be many failures, with a few winners. One must keep that in mind. Paid download, adver-gaming, sponsorship, subscription, in-game purchases â€“ how scalable are these models and how can these be promoted further? It's not clear what will work in India. So, my guess is all these modules will have to be tried. With more than 840 million mobile users in India, what is the scope of mobile gaming? The number (840 million) sounds impressive, but we must focus on 3G and smartphones users. The user base for 3G services and smartphones is obviously much smaller than the total subscriber base and it must grow exponentially before mobile gaming becomes a viable business. Is there enough innovation here in terms of game development, design and programming? It has started, of course, but it's still in an early stage. What are the challenges faced by start-ups in raising funds? What is required from the gaming ecosystem at large to help Indian developers? Given the success of gaming companies in China, I am sure that a number of companies will also receive funding here in India. But the real question is â€“ how long it will take them to develop games and how long it will take to get real traction. Indian consumers have a lot of choices today and finally, a company needs to develop a game that is more compelling than those created by large developers like Zynga, for the global markets.